Acopia Group provides packaging, industrial and retail consumables, shop fittings and fit out services to a variety of market sectors. Our roots go back to 1976 when we founded the successful family business Surrey Wholesale. Acopia Group was formed by the merger of Surrey Wholesale with Brightstyle and Dunsdale. Each company has brought its own area of expertise along with a complementary range of products. Our strapline, All Together Better, reflects our collective, collaborative approach to business as well as the comprehensive range of products and services we offer. Our packaging products and consumables are sourced locally and globally, with the sole aim of sourcing the best possible solutions for your specific needs, at a very competitive price. One of our many strengths is a highly mobile sales force, backed up by a team of dedicated office executives at our Head Office in Bognor Regis. This is also our logistics base, complete with 50,000 square feet of warehouse space, offering storage and next day nationwide distribution, so that your own inventories can be significantly reduced. Acopia – All Together Better. Acopia is a family run business that has built its foundations on solid ethics and a determination to strive for continued excellence. Always operating with complete transparency – we live our core values in everything that we do. 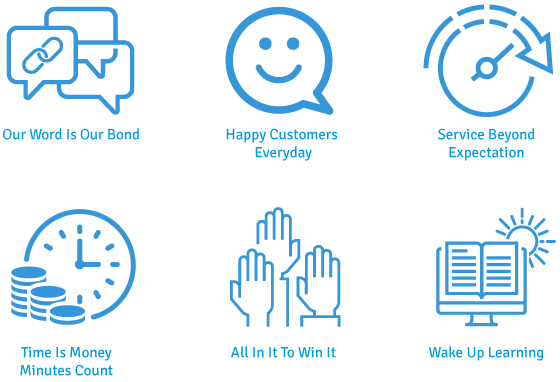 These are our guiding principles and what you can expect everyday from the team at Acopia.